Happy Monday, lovelies! It's finally autumn here, I've been waiting for this new season for such a long time. Since I live in a tropical country, I still can't say "it's time to put your coat on! ", but I just can say I'm enjoying this pleasant weather! To celebrate it, I chose a blue outfit from the new Aquamar collection: a flowy top with floral print; skinny jeans and strappy sandals. This look is pretty, comfy and perfect to wear during the autumn, spring and summer! Feliz segunda-feira, amadas! Finalmente é outono aqui, estive esperando por esta nova estação por um longo tempo. Como vivo num país tropical, ainda não posso dizer "é hora de colocar os casacos! ", mas só posso dizer que estou curtindo esse clima agradável! Para celebrá-lo, escolhi um look azul da nova coleção Aquamar: blusa com estampa floral; jeans skinny e sandálias de tiras. Este look é bonito, confortável e perfeito para usar durante o outono, primavera e verão! Can't wait to see more, Jessica! Lovely outfit! I love the top, it's beautiful! Lindo o tom de azul da calça. Gosto muito de peças coloridas assim. Lindo look. Adorei a sandália! Estas estupenda con ese color, muy fresca y femenina, me acabo de acordar que tengo un pantalón igual, besos! Beautiful top and great pants! Love you in all blue! Blue is one of my favorite color, love your pants! Gorgeous! Loving the blue and those heels are amazing! It is definitely blue season, and I am so loving those jeans. Amazing look. absolutely cute look!! and very beautiful photos!! A blusa é super gira ! Gorgeous as always! Love your heels especially. I have been seeing cobalt blue everywhere this season. I am so glad because it's such a great color. You look absolutely stunning in this color! Really cute outfit. I love the color. Love the top...Perfect for spring. I really like your outfit, especially your cobalt trousers! I just love the summery feel to this outfit. Looks beautiful! Loving the blue on blue! Very good! I loved the look. Kisses!!! Arrasou com esse look azul. So pretty! The printed top is gorgeous and I love the shades of blue that you are wearing! Those colors look great on you. I really love the blouse! Thanks for sharing! Lindaaaa! Amooo esse tom de azul! That's such a cute top! You look lovely! i love that blue on you. Love the blue jeans! The colour is stunning on you! Amei a blusa, super fofa e com essa pegada mais boho que estou amando. Ficou linda. Wow, I LOVE your look, beautiful!!! Love the colour palette of this outfit! :D So refreshing! Love that top, it's so fun and flirty! You look amazing in blue, doll! Lindo look! Tenho uma calça dessa cor e sua composição me inspirou muito! Tenha um dia abençoado, beijos. Maravilhosa! Amei a calça azul e a blusa tipo ciganinha ficou perfeita! Dear Jess, you look lovely in your outfit in the blue tones! Love the blue is everything Sumer, spring:). gostei do look, principalmente a blusa! Amei a estampa da blusa. 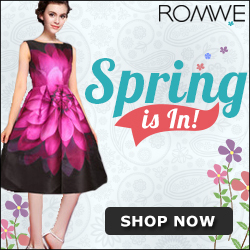 What a perfect outfit for the spring! Loving the blouse, and those skinnies look so nice on you! I am so happy I found your blog. Would you like to check out my blog and perhaps follow each other on GFC and/or other social media? You look so great darling! Love your outfit! Blue is one of my favorite colors! So this is right up my alley! And love the off shoulder top. 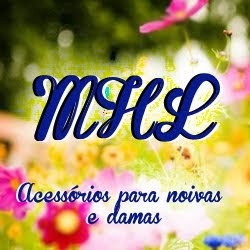 Eu tenho poucas peças azuis no guarda-roupa, mas acho tão lindo! Adorei a calça! Absolutely love your top, that is gorgeous! Lovely outfit and I love blue too! You look so beautiful - love this on you! Love how the sleeves on this top, looks great on you. Love your top,so beautiful and the colour suits you.!!! Check out my new blog, I will be posting about fashion, diy and such! Give my blog a visit if you have time!Thank you.!!! The white and blue print of the top looks like porcelaine, so pretty! Blue really looks good on you! Beautiful outfit and pictures. I have been loving the color "blue" lately and I like this combination. Love, love, love this cobalt blue look. So chic.